He originally thought I meant machinery, not birds – after the real destination was selected, he sadly decided to miss this event, but my friend Jane Elliott also wanted to learn about these endangered animals so we found this wonderful site located out in the country and set out on the trails to see the birds in action. 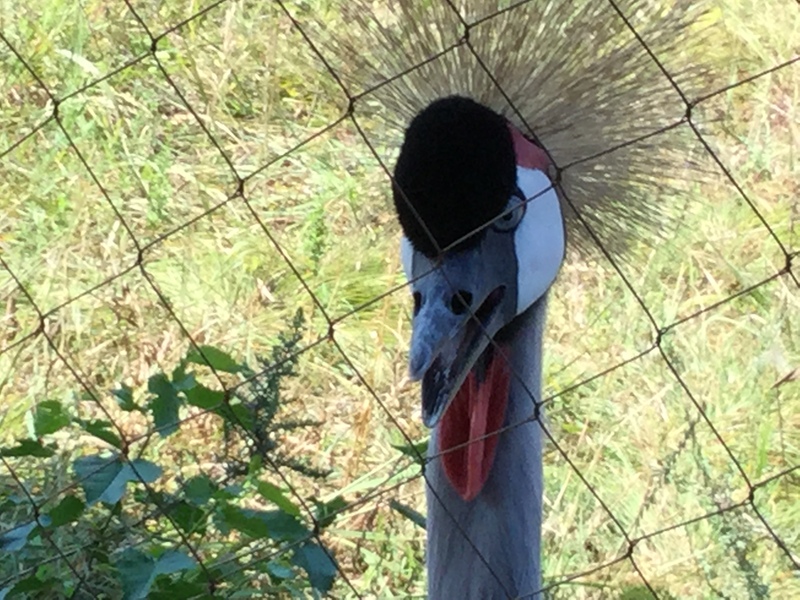 The Grey Crowned Crane really would have liked to get us, he (or she) followed us and tried to peck at the fence. We wisely kept out digits to ourselves and enjoyed this endangered bird’s beauty and royal carriage. 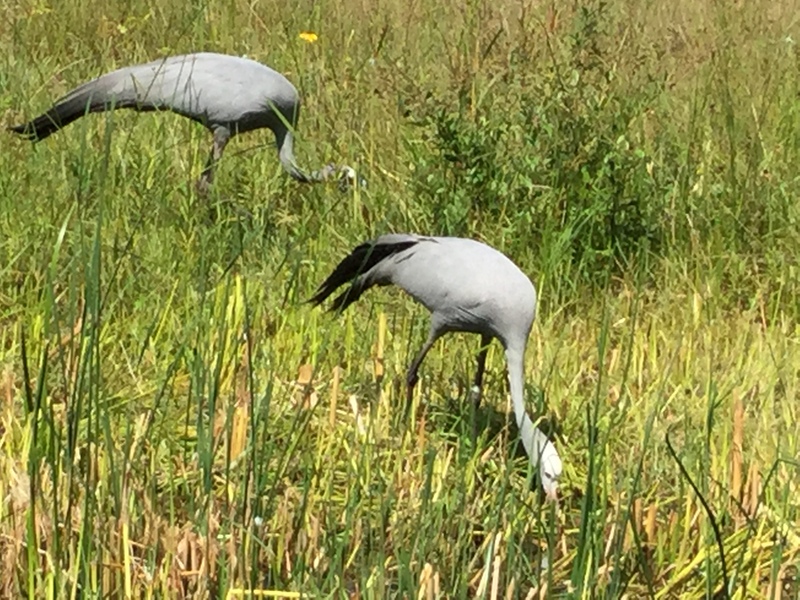 The International Crane Foundation(ICF) is located on a 120 acre- prairie and boasts 275 species of native flowers. 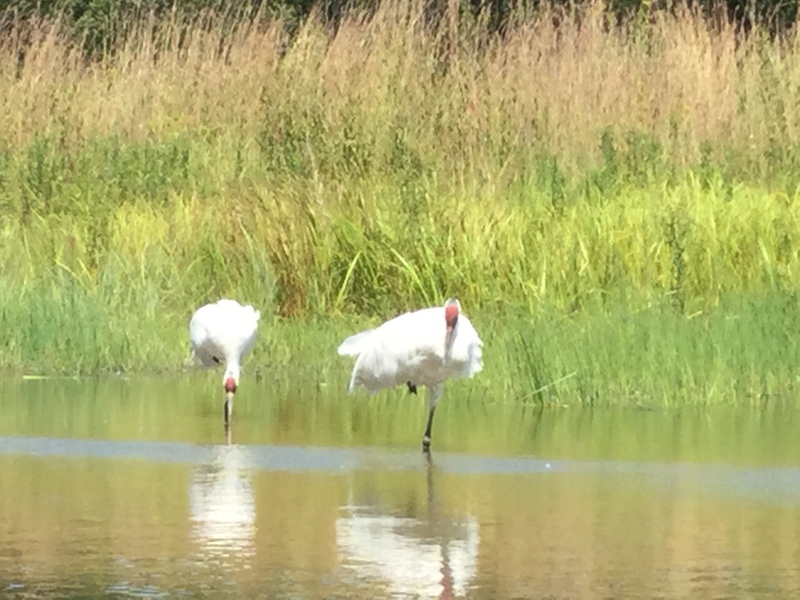 The fifteen different types of cranes they show come from all over the world with one of the most endangered, the Whooping Crane, being located in the east southern part of the US. 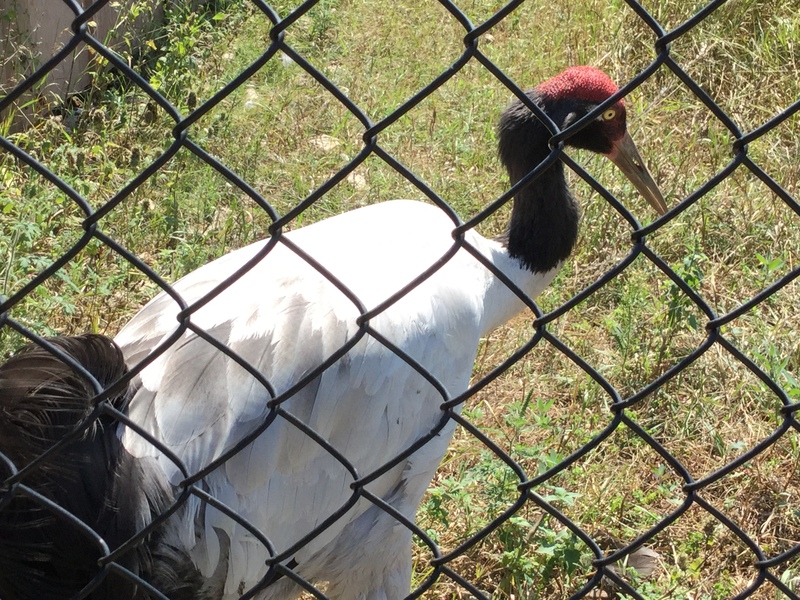 The purpose for the ICF besides protecting the cranes is to provide education about them and conduct captive breeding and reintroduction of cranes into the wild. We watched an amazing video that shared how this all got started and how the foundation is working with nations around the globe to preserve the habitat of the cranes which in the end also helps preserve nature for humans as well. Previous Post: Broadway Diner dining 50’s syle!